Let our professional service technicians come to your community to make any necessary repairs to your existing iron. 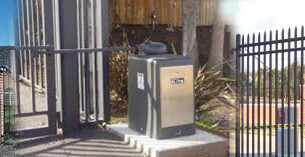 We service and maintain Gate Operators for Apartment & HOA Communities. 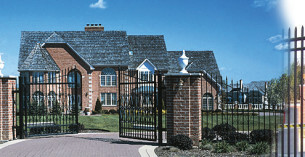 We specialize in Gates, Fences and Operator Repairs for HOA and Apartment Communities. We at Strictly Doors and Gates understand the significance of Doors and Gates as far as both home safety and home décor is concerned and therefore, we ensure that our products are a blend of strength and splendour. Our products range includes Iron Gates, Fences, Security Doors & Window Bars, Patio Covers, solar screens, Alumawood, stair and Balcony Railings while Electric Gate Repairs and Roll-Up/Garage Doors are also part of our domain of expertise. Whether it is the question of the security of home and family or commercial property, no one can deny the instrumental roles of Doors and Gates. These are the first ones to stop their intrusion and also the forts target of the intruders. We therefore, resort to strict quality measures to make sure that each of our products have strong, sturdy and highly resistant structure for complete safety. At the same time, doors and gates are also the first impressions of your home furnishing on guests, so we bring forth choices that are aesthetically crafted and have an overall elegant and classy appearance. Our long clientele comprising HOA and Apartment Communities and residential customers vouch for the efficiency and cordial approach of our professionals. We provide FREE in home ESTIMATE during which our experts present you with samples and photo books and help in deciding on the ones that will best suit your exteriors and interiors and safety needs. 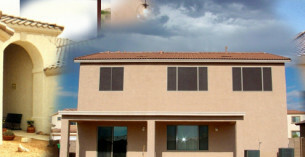 We also perform services such as Gates, Fences & Operator Repairs for HOA and Apartment Communities. Besides this, assisted by experienced technicians, we provide mobile welding services for our clients if they require repair work for their existing iron.